Today all 6 of us are having exactly the same packed lunch. In addition to this, Hubby also took a 1/4 cup of walnuts in his mini-dipper as a snack, and A took a half cup of mixed frozen berries in her large dipper. 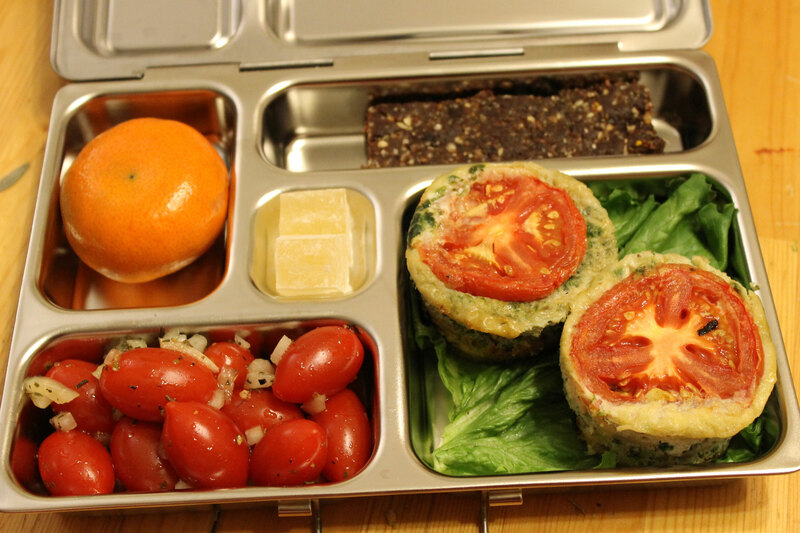 This entry was posted in School lunches and tagged eggs, energy bars, frittata, gluten-free, grain-free, healthy, homemade, homemade candy, packed lunch, paleo, primal, school lunch, school packed lunch, sugar-free, tomatoes. Bookmark the permalink.